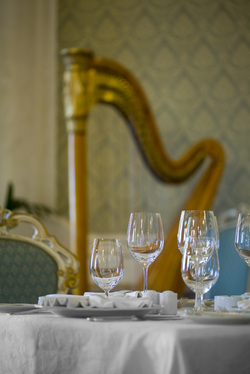 Harp music carries throughout a large room, but allows easy conversation. In large groups the sound can be amplified or fed into the ceiling speakers of a banquet hall. The mood is alternately romantic, meditative, relaxing, energizing. Listeners frequently hum along or enjoy naming the tunes.